By the time he was 15, Chopin had developed has piano technique considerably, and he was writing pieces that were firmly in the virtuoso tradition of the early Romantic period. Now, the general aesthetic at the time was not particularly deep or profound — it was more about varied and pretty effects. 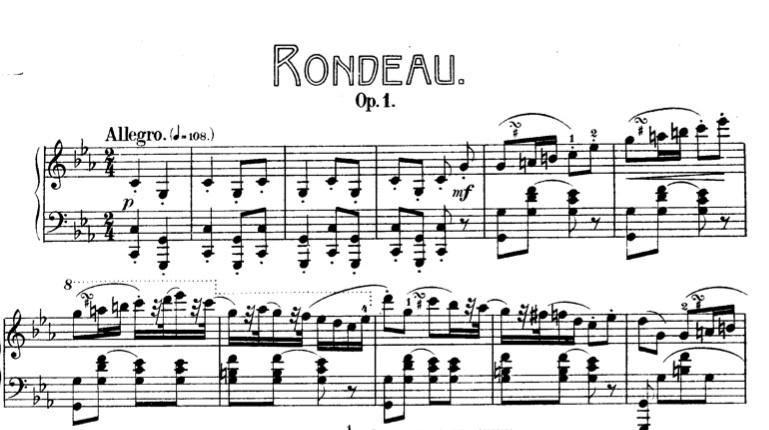 Chopin later developed those techniques into some pretty profound utterances, but here it’s mostly surface charm. And I’ll bet you’ve never heard this piece before. In fact, even as a piano-faculty member who’s heard thousands of students playing untold thousands of piano works, I’ve never heard anyone play this piece. But I’ve really enjoyed getting to know it – and to play it.